1 In the 18th century, most American young women worked at home. 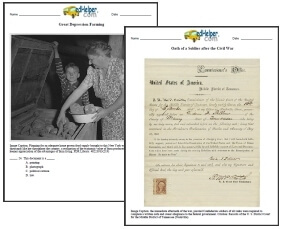 They worked on their family's farm or they worked in the home, preparing food, making clothing, and doing many of the other jobs necessary to maintain a home. 2 By early in the 19th century, there was another option. Teenage girls and young women could leave their home in the country and move into the city to take a factory job. Lowell, Massachusetts, was the site of the first large factory city. 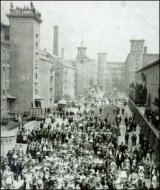 Many young women chose to move away from home and into Lowell to work in the mills there. They could make money to support themselves and lead a new and different lifestyle. They looked forward to the money, the excitement, and the new friends they would have in Lowell. 3 The young women who worked in the Lowell mills were usually between the ages of 15 and 25. To work at Lowell, they had to sign on for one full year.